Going forward I really am going to try and update this Blog weekly. Not for me, but more importantly for the foundation. 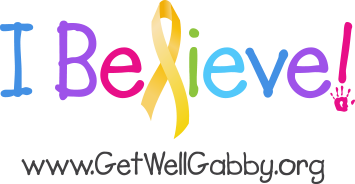 The Blog was started two years ago and you can still read it all form the beginning at Getwellgabby.org. The last day we were normal, the last night we went to sleep not realizing kids die, kids get sick, not knowing deep down that our youngest would be leaving us much, much too soon. We woke up, I was down stairs with Maddie, Katie and Gabby. The three of us were playing Xbox Kinnect. A game called Kinectimals. For some reason Gabby didn’t want to play. She just laid on the couch, something was wrong and I didn’t want to admit it. We were scheduled to take Gabby in the next day for an MRI. But after seeing Gabby and the way she was acting, Carolynn decided we should take her in the day before. I’ll be honest, I didn’t want to, thought it was a waste of time, thought we would sit there for hours and then be sent home. My daughter had a monster in her head and I was more concerned about losing my day off from work. But how was I to know. Who would ever imagine something like this? We were originally supposed to go to Chuck E Cheese. Gabby asked about it. I told her we would go later in the week after we visited the doctors. Looking back at it now I wish I would have taken her. She loved the place. And it would turn out she would never get to see that place again in her short life. I’m sitting here crying just reading that sentence. Never get to play games or see that animatronic mouse again, because 3 months, 12 days later she would be gone from this world. We stoped at McDonalds on the way to the hospital to get Gabby a happy meal. We asked her questions that she should have know, what were her uncles dogs names, we asked her where we were going, she had already forgotten. At this point I started to get worried. When we arrived at the hospital she was sleeping, she was holding her food in her mouth, The last few days Gabby had kept food in her mouth chewing and never swallowing. We now know this was a symptom. We can also look back at pictures and spot specific times when she was already sick , based upon her smile and her eyes. At the time though we never noticed. We got out of the car and I picked up Gabby and we started to walk across the street, I put her down and she tried to walk unsteadily across the street. Carolynn picked her up and carried her the rest of the way. Another regret I have, my back was sore and I didn’t carry her the whole way. I wish I would have. The day was long, They gave Gabby a Cat scan, told us they didn’t see anything, however she was becoming more and more unsteady. They decided to keep her until the MRI the next day. Told us it was probably nothing serious, just something brought on by a recent episode of strep throat, that it would work itself out and she would be fine. I left Carolynn there with her as I went home to my other two daughters. My in-laws were watching them. As I sat down when I got home I told them the doctors said she was fine, and if your child got sick this is what you would want them to have, because it would work itself out. I actually said those words. Nothing could have been further from the truth. As it turns out Gabby was given a death sentence, There was a monster inside her head eating away at the person she was and killing any chance of the person she would never get to become. I climbed into bed and went to sleep. The last night I would ever do that with the idea of three healthy daughters in my head, with the dream of being able to walk all three down the aisle on their wedding days. I went to sleep blind to the horror that my family would be exposed to the following day. Gabby went through Hell, her sisters went through Hell, we are all broken. I have heard that God has a plan nonsense about a million times since we lost Gabby. People who have never lost a child find comfort in stating this. People that are very religious even that have a child fighting or that have fought cancer believe this as well. I look at them and say just what they want to hear, yup he has a plan, he doesn’t give you more than you can handle, yada, yada, yada. That might be your belief but it’s not mine. Can we talk about something else now? I respect their opinions, that’s the thing, If I sit here and say how can you buy that nonsense? I’m no better than the people that have told me I’m destined for Hell or never healing because I won’t accept what they say. So I love having discussions about religion, about life and death. But I have noticed that when confronted with having a conversation most of these people can’t answer simple questions. However if I ask a scientist what creates electricity they can give me a detailed example. I’m not saying either are right or wrong. What I’m saying is don’t be close minded and decided only your theories are correct. Lately I have been reading up on The Theory of Everything, String Theory, The multiverse theory. A religious person would say that stuff is Sci-fI and way out there. Yes, we can all believe in a magic man who lives in the sky and grants wishes, however when I bring up science, energy and possible ways our energy lives on for ever I’m called crazy or angry? I don’t talk about politics and I really try not to slam religion. I know in one blog I was pretty rough on the whole God thing. I was wrong. At no point am I saying I don’t believe. All I’m trying to say is I don’t know. I lost my daughter and I’m open to discussing all and anything regarding, life, death, afterlife, religion, lack of religion. I refuse to sit here and say this is right, you are wrong. But believe me when I say this that’s what people will get out of this paragraph. They will skip over the whole I don’t know part. They will shake their heads and go, he is lost , and I feel sorry for him. However there is no reason to feel sorry for me because I haven’t found the answers I’m looking for. I may die never finding them. However I’m happier knowing I’m searching out all possibilities as opposed to settling with one idea because that’s what my parents told me was the truth. They also told me a rabbit delivers me chocolate, an obese man delivers me toys, and a fairy steals my teeth for money. Just Saying. Or the best one, people who just can’t seem to figure out why we act the way we do after this. I’ll address all of these: We in this house are all broken, We are different now than we were before Gabby got sick. We are angry, we are sad, we are struggling to find a way to return to some sense of normalcy. We all are dealing with feelings and emotions that are different and affect us in different ways. One thing we have done is form a foundation in memory of Gabby. The foundation just recently donated $125,000 to AI DuPont in Wilmington. We are still living in a state of confusion but yet still helping those that are going through what we have been through ourselves. It’s amazing what will set you off, what will cause your road to recovery to swerve off the road and hit a tree. A song by Katy Perry, driving past a store that we bought Gabby a stuffed animal at. Looking at a piece of fruit and saying “Gabby never ate one of these.” and then realizing she never will. The latest has been pictures and books for me. Maddie and Katie just received their school pictures, I placed them in my wallet next to Gabbys. It hit me that although Maddie and Katie’s pictures keep changing the one I have of Gabby in my wallet will stay the same forever. She is caught in time. Never to get older in pictures, however in my head I keep wondering what would she sound like , what would she look like, do I say she’s eight this October or forever five? What gifts would she like for Christmas? Again stuck in that is she 5 or 8 mode. The books really get me. We are big readers in this house. We have books everywhere. I was recently looking for books to read to the baby when I opened one and saw that Gabby had written her name in it. She was so proud she could write her name and over the three months she was sick you could see it really hurt her that she lost that ability. How can that happen? A five year old who had to write her now and now could not make her hands write it anymore. I saw this name and started to cry. I could picture the way she held her pencil, how her other hand held the page down, I could hear her wondering if she should use a pencil, a crayon, a pen. Then I realized this was one of the last times she ever signed her name, She wouldn’t sign it on her license, or her college application or her marriage certificate. This was a piece of history. Gabby loved Barbie books and we have a lot of them. Most came with sticker sheets. I paged through all these books and realized most of the stickers were still in them. She never took them out. And now they would go unused because how was she to know she wouldn’t have had time to use them some other time. Barbie stickers that are also doomed to be owned by a little girl doomed to be forever five. As I sit her tears are streaming down my face. I have more to say, more to write, but I can’t any longer. I’m going to go play with Maddie and Katie. And after you read this, close you r computer, put down your phone and go do something with someone you love. The rest of my life I’ll replay all the times I could have with Gabby and didn’t because I thought I could always do it later. Sometimes later never comes.